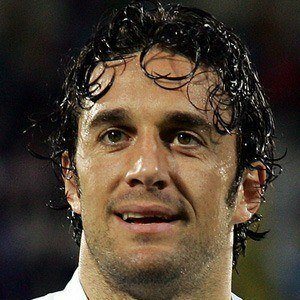 Italian striker who won the World Cup with Italy in 2006 and played for a number of club teams including AC Fiorentina and Bayern Munich. He started his senior career in 1994 playing for Modena. 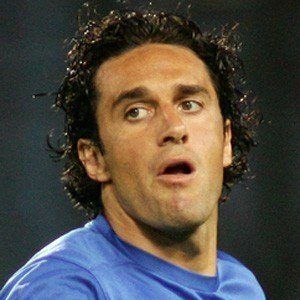 He debuted for the Italian national team in 2004 and in September, he scored his first international goal during a World Cup Qualifying match against Norway. 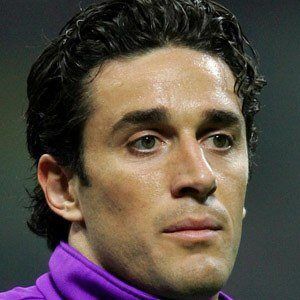 He was born in 1977 in Pavullo nel Frignano, Italy. He played alongside Thomas Muller on Bayern Munich from 2008 to 2010.